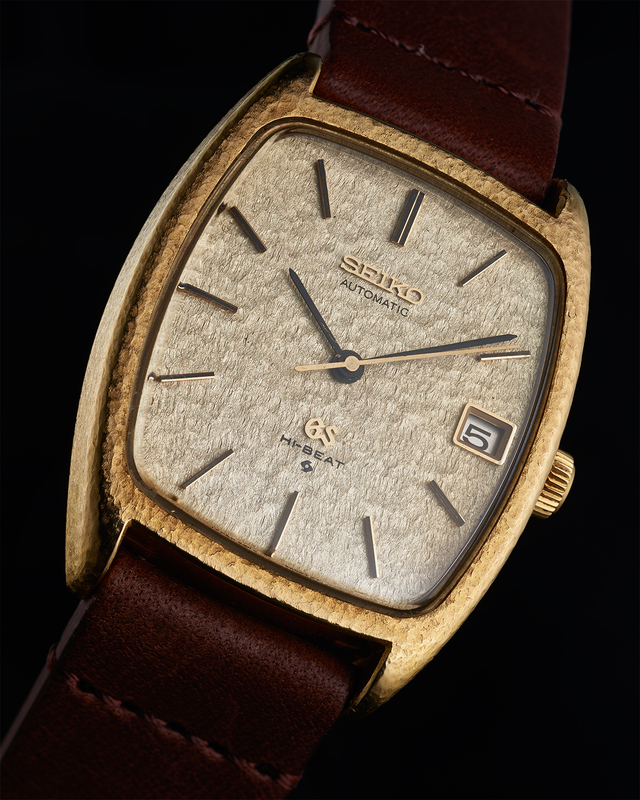 With its 18K solid gold tonneau shaped hammered case, “snowflake” dial, and thin black hour and minute hands, the Grand Seiko 5645-5000 is about as far removed as it is possible to get from the famed “Grammar of Design”. 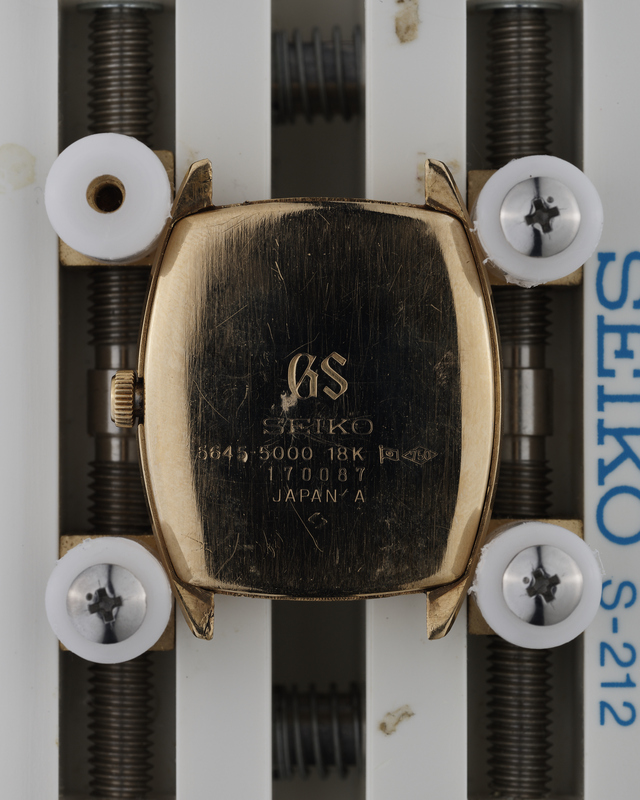 What is notable about this reference however is that it has recently been confirmed by Grand Seiko themselves that the dial on this watch was the inspiration for what is probably the most loved of the current modern series – the SBGA011/211 “Snowflakes”. 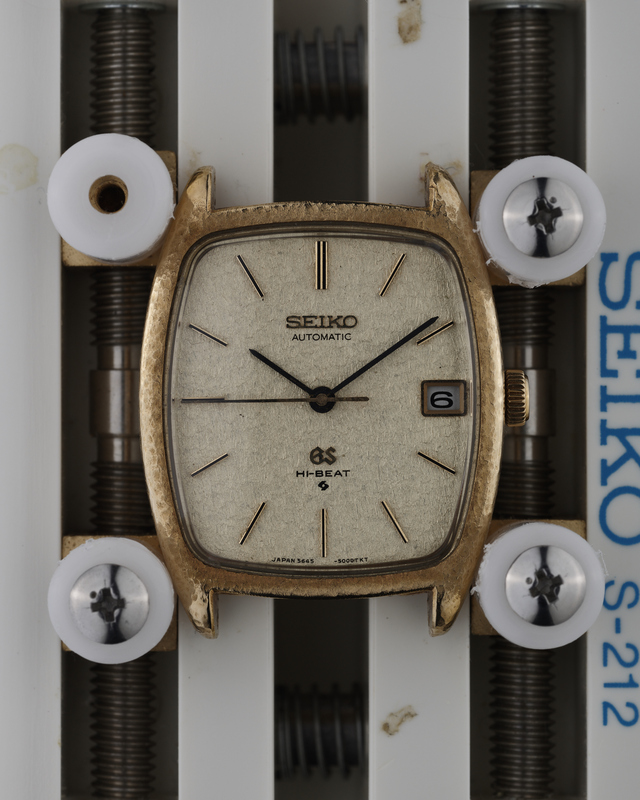 As such, it has become a very desirable piece for those looking to build a bridge between their modern and vintage Grand Seiko collections. 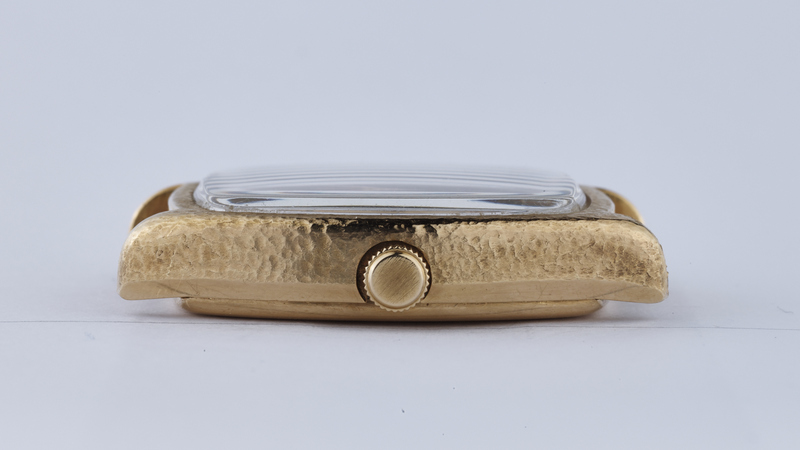 The example available here is in excellent condition with a near flawless dial, and a case that retains its hammer-toned finish. 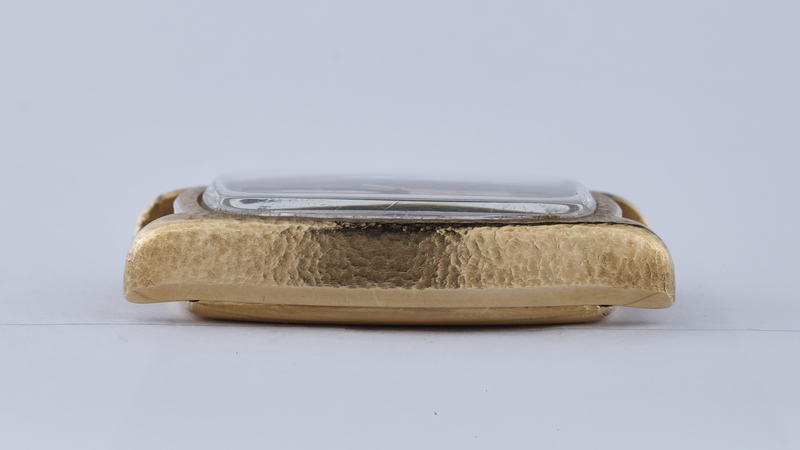 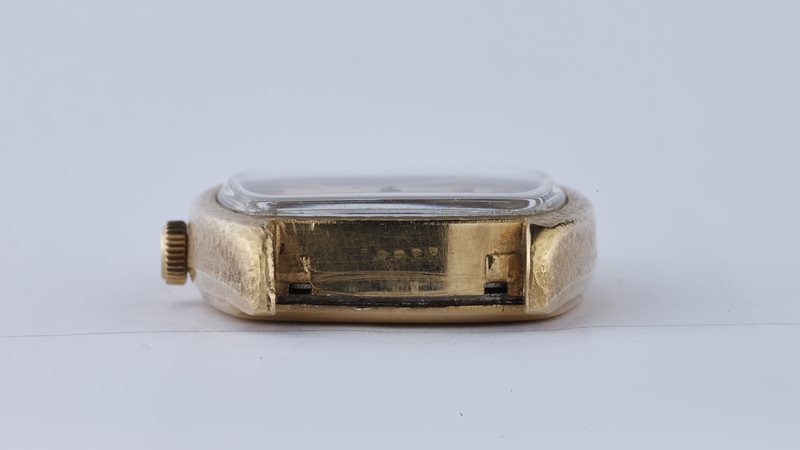 The case back shows the expected signs of wear, but all the stamped details and hallmarks remain prominent. 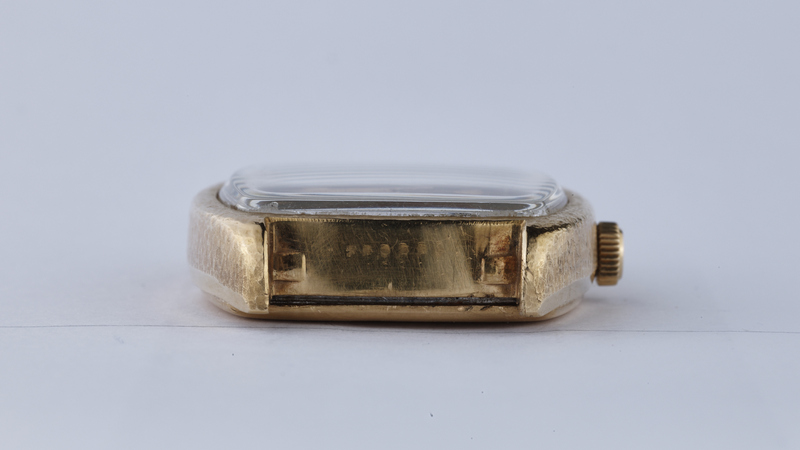 On a timegrapher in the dial-up position, the watch is running at around -3 minutes per day.